December 1st is one of the days I look forward to all year long. 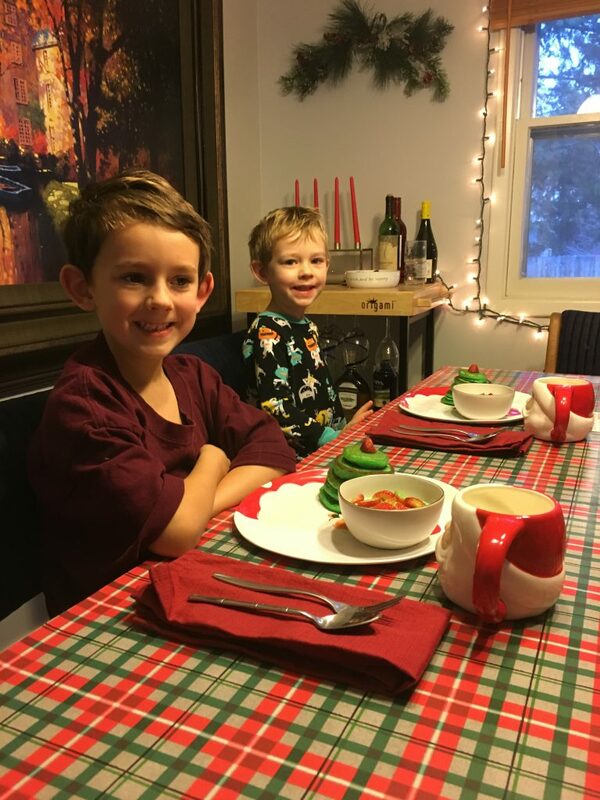 We kick off every December with the return of our elf , Clark and a North Pole Breakfast. 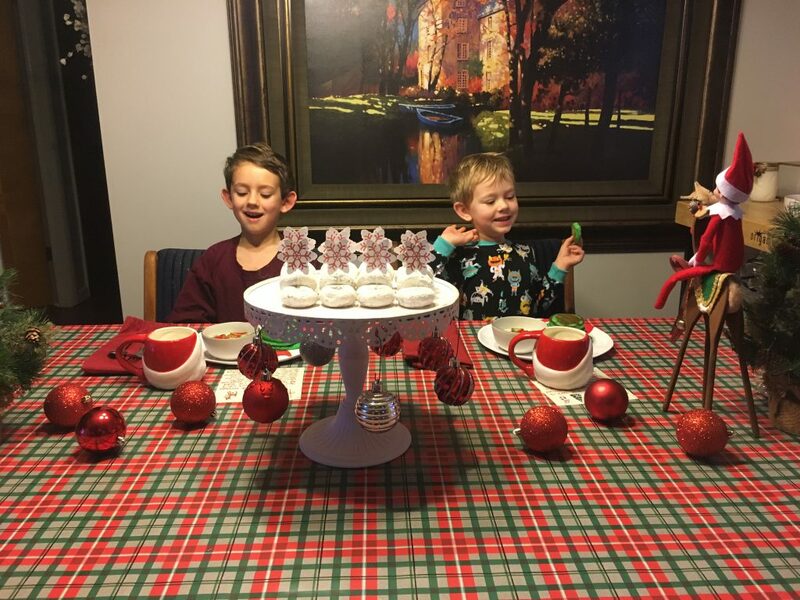 Our elf return’s every year on the 1st, and we have been doing the North Pole Breakfast for the past 3 years. Kona was 3 when we started this tradition, and the fun and magic is still going strong. This is the first year that Kai kinda understands what’s going on, so seeing his little face light up and get excited has been my favorite. He was a little confused at first about what was going on, but once we explained it to him he was all for it. While we do this breakfast for elf’s big return, you could also do it in the middle of the month to break things up, or on Christmas Eve for elf’s farewell. 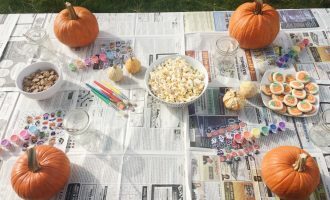 Last year I got the idea to cover our table with wrapping paper and it was the best idea ever! Ha! 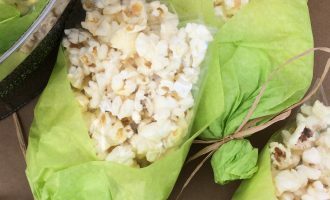 It brings a fun festive touch and you don’t have to wipe up sticky syrup or a million donut crumbs. Every mom’s dream! 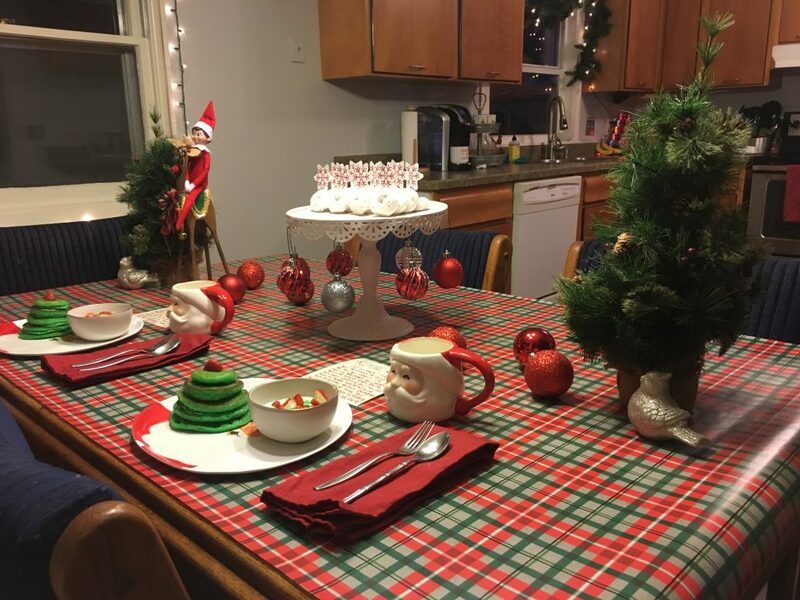 I kept the decorations simple and tried to focus on our elf and breakfast. I didn’t want to make things too over the top and have Kona questioning if Clark could really do that. J.D. was the one who hung the bulbs from the cake stand, and while I thought it was hilarious, it was the boys favorite. Go figure! For breakfast we had green pancakes with a strawberry on top to resemble a Christmas tree. I have used cranberries in the past, but the boys were so confused as to why they couldn’t eat it. I like the look of the cranberry better, but didn’t want to hear a million, “why can’t I eat it” comments. 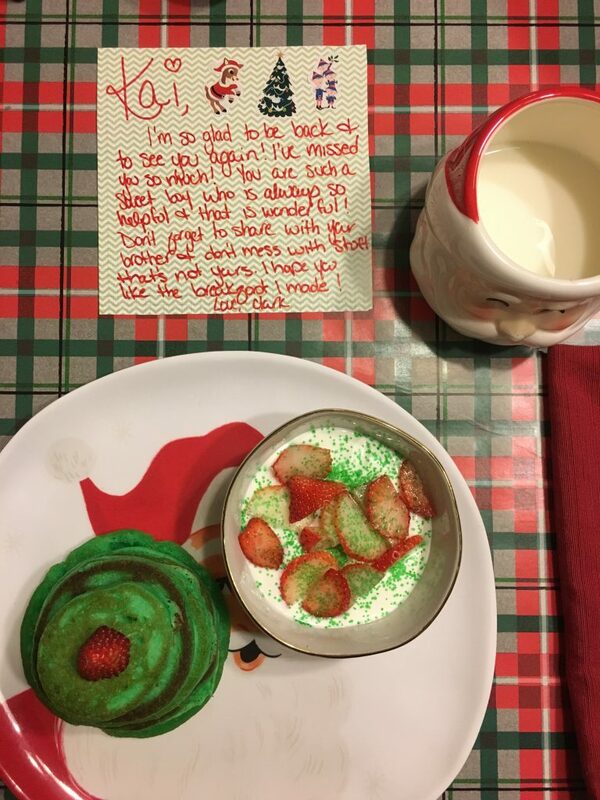 We also had yogurt with strawberries and green sprinkles on top, powdered sugar donuts, and milk in the cutest Santa mugs I got at Target a few years ago. 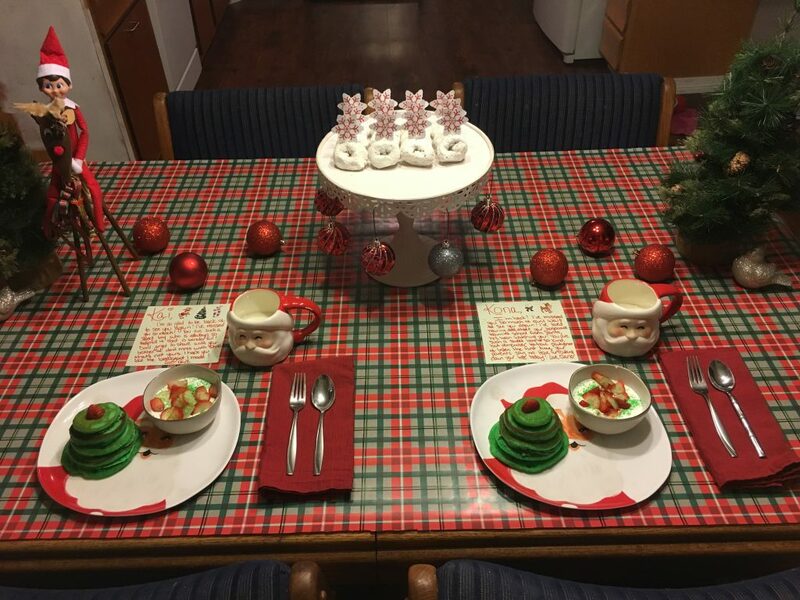 The Santa plates are also from Target last year, and the snowflake picks in the donuts were in a cupcake kit from Walmart. Clark also wrote the boys each a letter telling them how good they’ve been, but one thing they a little work on. Kona’s letter talked about him playing t-ball for the first time this year and some of the things he’s been doing in school. He was shocked that Clark knew those things about him. Next year I need to remember to type the letters out. I’m afraid Kona will catch on that it’s my handwriting. At about 7:00 I could hear Kona wrestling around in his bed and knew he would be up in a few minutes. 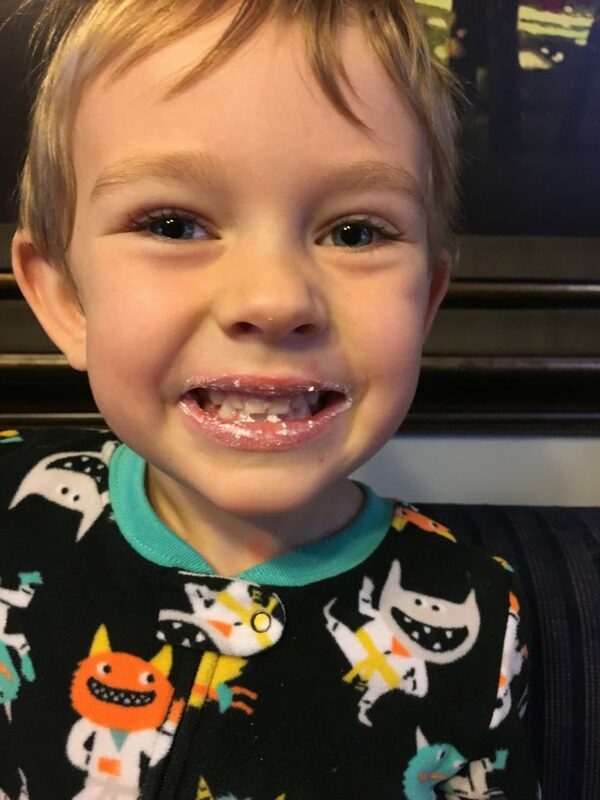 I hurried and grabbed the milk and bowls of yogurt out of the fridge, put them on the table, sat down on the couch with my book open just in time for him to come out of his room. It took him a minute to realize what was going on, but once he did he ran into Kai’s room to wake him up. They sat at the table wide eyed and shocked for a few minutes before they dived into their pancakes. Sleepy eyes, crazy hair, and the biggest smiles ever are my favorite! That little donut covered face gets me every time! 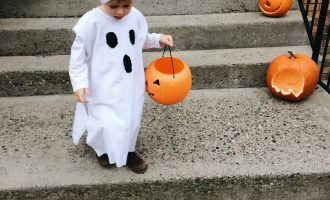 This tradition is one of my favorites and one I look forward to every year. It helps us to kick off the season and make memories that will last a lifetime. One of the best parts about the North Pole Breakfast, is there are a million different ways you can do it. I have seen some where elf brings pajamas, ornaments, books, or some silly little things from the Target dollar spot. If you are looking for something a little simpler, a picnic style breakfast with cheerios and milk in front of the Christmas tree would be so fun! If you’re looking for some more inspiration here are a few of my favorites. Mix things up and make it your own! 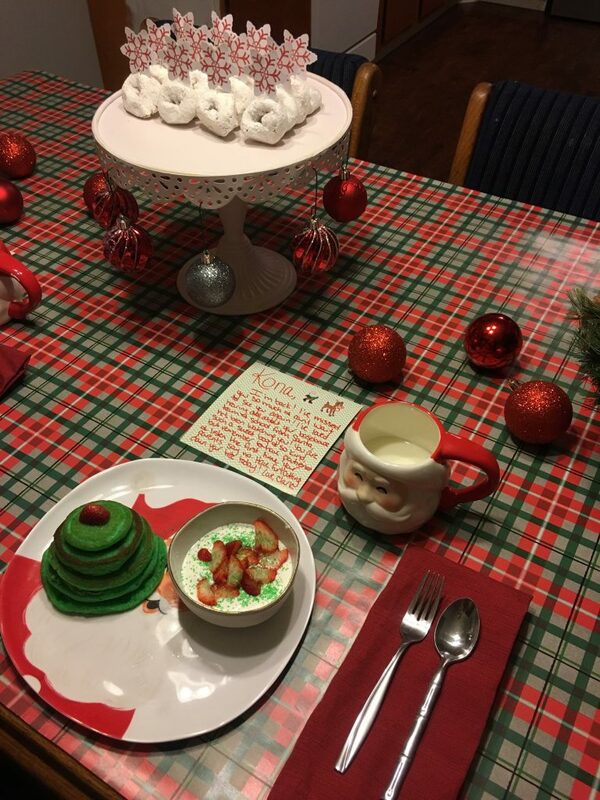 I would love to see pictures and hear about your version of the North Pole Breakfast. Leave a comment or tag me on Instagram. I can’t wait to see what you come up with!